The 26th Annual Rupert’s Land Debate & Public Speaking Tournament held on December 9 was once again very successful due to the efforts and support of many individuals who volunteered their time. On behalf of the competitors, thanks go out to parents, friends, and relatives of parents, grandparents, alumni, staff, and students who helped in countless ways so that this amazing and well-attended tournament could take place. 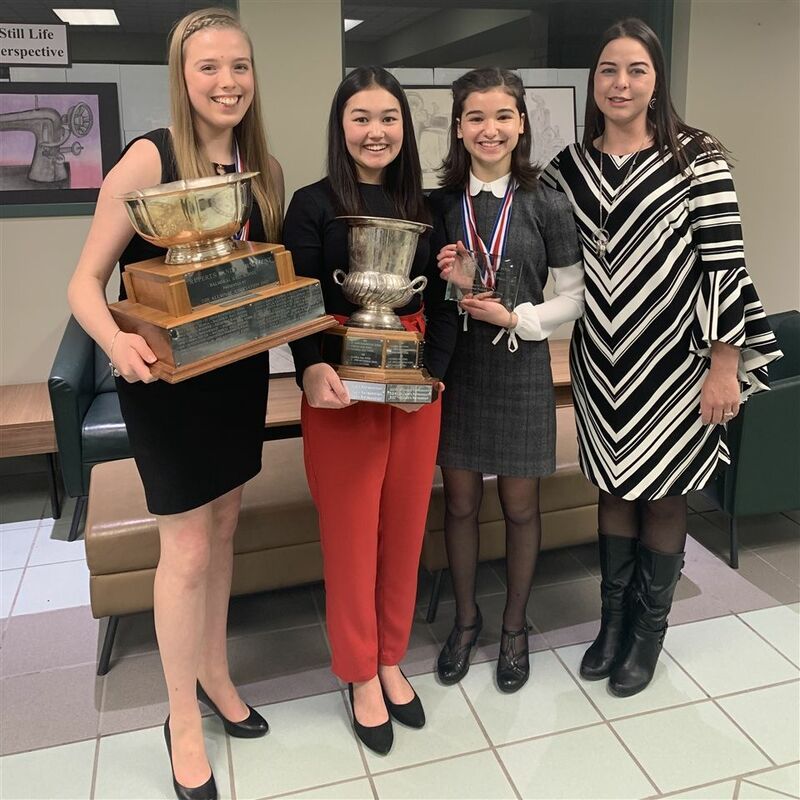 Balmoral Hall School placed first overall in the tournament thanks to the efforts of Lauren Burns, Lindsay Cogan, and Irina Znamirowski, all participating in the persuasive speaking and parliamentary debate events. We had an excellent turnout with 12 schools. The persuasive speech topics were thought-provoking with creative solutions. The impromptu debate rounds proved to be extremely exciting with resolutions ranging from holding vehicle passengers criminally liable if knowingly travelling with an impaired driver, to requiring all university students to complete a course in diversity and inclusion, to regretting holiday sales such as Boxing Day or Cyber Monday. Irina and Lindsay will next compete at The National Public Speaking Championships to be held at St. John's-Ravenscourt School in February 2019, which is a qualifier to compete at World’s in April 2019. A special thank you goes out to the judges who came out on a beautiful and busy Sunday to support all the competitors. As we all know, this event is dependent upon the volunteer efforts of the school community as a whole. We are so very appreciative of your continued support and commitment in contributing to the success of the tournament.